EghtesadOnline: The total operating revenues of Iran’s top 100 companies, based on their financial statements for the fiscal year that ended on March 20, 2018, stood at 5,670 trillion rials ($47.25 billion) to register a 24% increase compared with the year before. According to data gathered by the Industrial Management Institute, Iran's banking industry was the largest business sector out of 32 groups in the last fiscal year (March 2017-18), accounting for 26% of the total revenues, followed by petrochemical group with 14% and oil and gas companies with 13%. 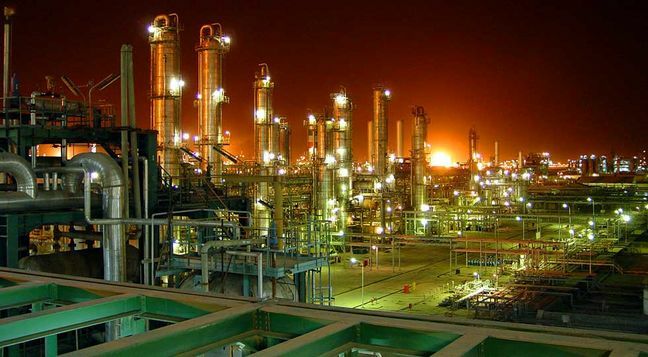 Persian Gulf Petrochemical Industries Company this year made it to the top of Industrial Management Institute’s list of Iran’s 500 largest companies, also known as IMI 500. It was followed by Parsian Bank, Isfahan Oil Refinery, SAIPA Group, Bank Saderat Iran, Mobarakeh Steel Company, Ayandeh Bank, Parsian Oil and Gas, Karafarin Bank and Bandar Abbas Oil Refining Company, according to Financial Tribune. The top listers' revenues were 32.8-fold bigger than the total revenues of the 100th company in the ranking, i.e. Iran Tractor Manufacturing Company. The added value of the top 100 countries constitutes 12% of the country’s GDP, according to IMI’s Managing Director Abolfazl Kiani Bakhtiari. IMI 500 is fashioned after the Fortune 500, Mehr News Agency quoted him as saying. Fortune magazine compiles and publishes an annual list that ranks 500 of the largest United States corporations by total revenue for their respective fiscal years. Both lists include publicly held companies, along with privately run companies for which revenues are publicly available.